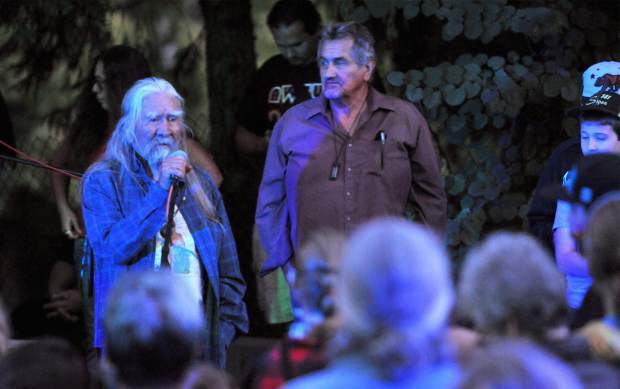 Fred 'Coyote' Downey prepares to sing a song while under the trees of Kulu, or Sycamore Ranch off of Highway 20 near Browns Valley where much of this years' Indigenous Peoples Days celebrations occurred. 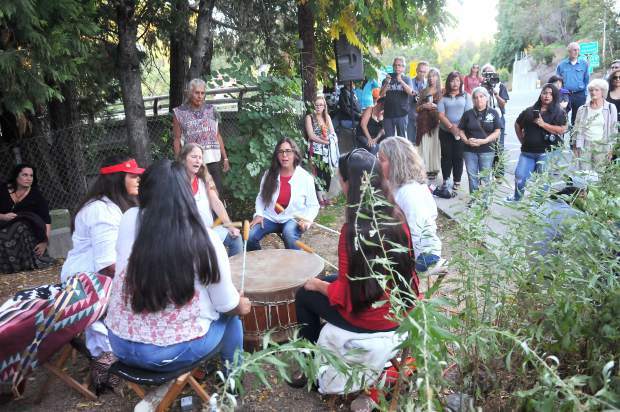 A women's drumming circle starts the beginning of the Indigenous Peoples Day Friday night across from Calanan Park in downtown Nevada CIty, where the old bark house used to be. 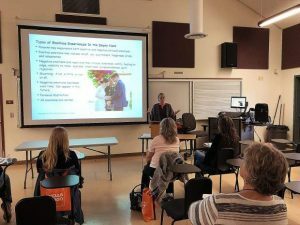 Friday night's event was part of a weekend long celebration of native people. Native American arts, crafts, and supplies were made available during festivities taking place at Sycamore Ranch off of Highway 20 near Browns Valley in Yuba County. 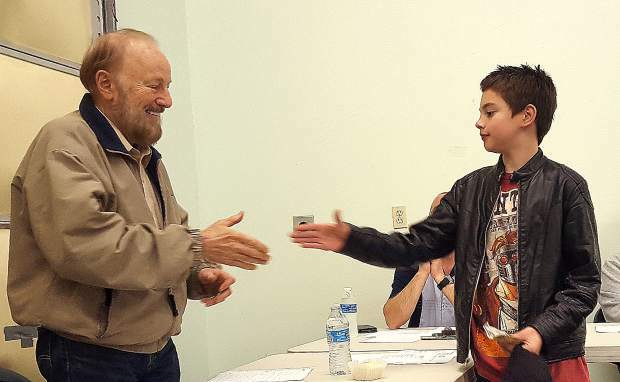 Fred 'Coyote' Downey speaks at Friday night's ceremony along side Tsi-Akim Maidu Chairman Don Ryberg. 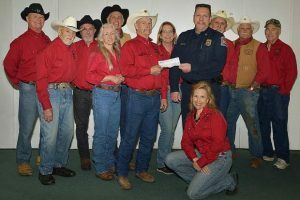 Other speakers included Marshall Merino, Grayson Coney, Nevada City Mayor Duane Strawser, and Reinette Senum. 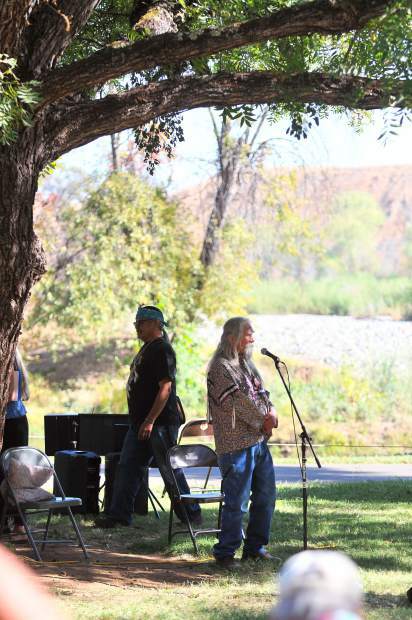 Fred 'Coyote' Downey prepares to speak during Saturday's Indigenous Peoples Day celebration at Sycamore Ranch. Fancy dress dancers from the Pit River Indians perform during Friday night's ceremony in the streets of downtown Nevada City. 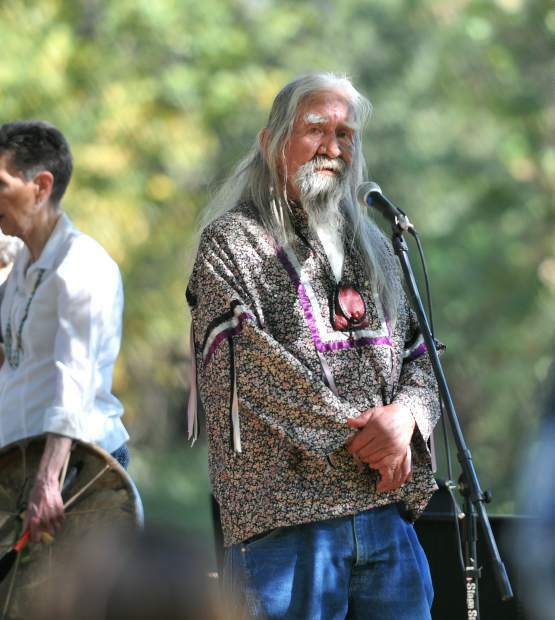 What began 25 years ago in Berkeley as a Native American response to the celebration of Columbus Day, Indigenous Peoples Day, hosted by the Tsi-Akim Maidu, celebrated its 20th year in the community. 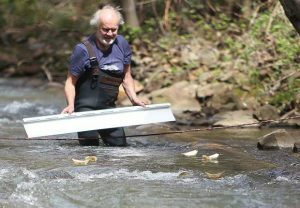 This year’s celebrations included the location of the former bark house that existed across from Calanan Park in Nevada City, as well as at the Kulu, or Sycamore Ranch. Community members, many previously unaware of the ceremony, could be seen joining hands in unity as they participated in a round dance. 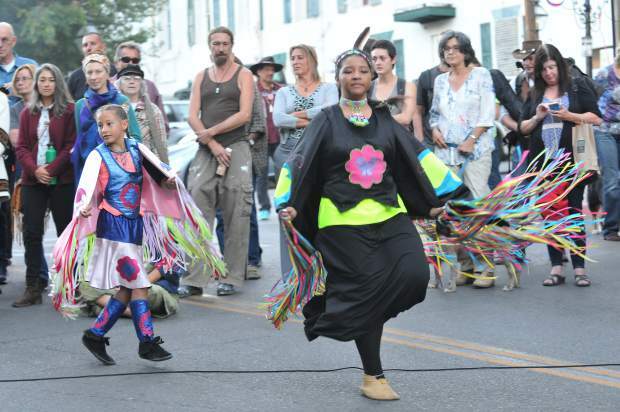 Jingle dress and fancy shell dancers from the Pit River Indian group RISE also performed and speakers included tribal Chairman Don Ryberg and Nevada City Mayor Duane Strawser. 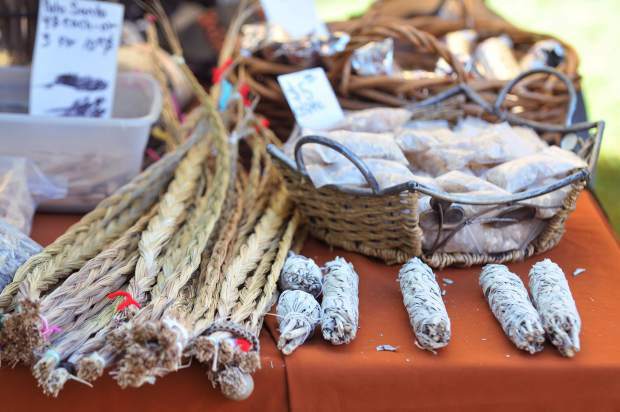 At Sycamore Ranch, folks could peruse through the many booths of Native American wares for sale including, sage, animal furs, wooden flutes, rare animal horns, and more.